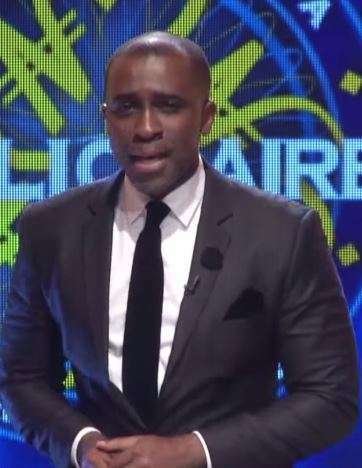 Rumors were rife on social media today that media personality, Frank Edoho, has been dropped as the host of the popular tv show, "Who Wants To Be A Millionaire". 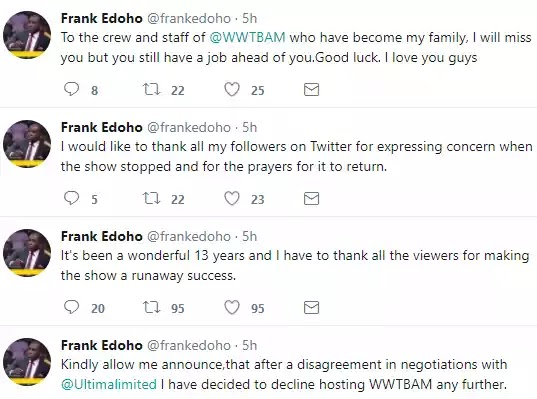 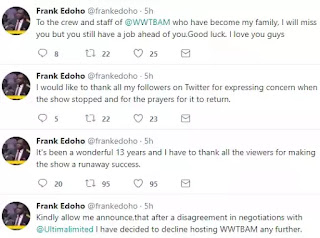 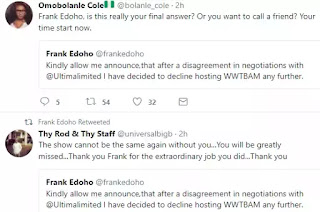 Frank came on his twitter page this afternoon to state that he was not dropped but rather he declined to continue to host the show after a disagreement in negotiations with the organizers of the show. His followers teased him with some of the questions he normally asked contestants on the quiz show.